StrategyOne recently conducted an international study for General Electric to produce what GE calls the “GE Global Innovation Barometer”. In the last years, GE has opened up its innovation management and integrated quite a number of collaborative approaches. A prominent example is GE’s ecomagination challenge. In fact, in a number of dimensions GE can be seen as a global benchmark in Open Innovation. GE issued the study to better understand how innovation is changing and how social expectations regarding innovation are shifting. In the study, 1,000 senior executives from 12 countries were interviewed in order to analyze perceptions around innovation challenges, to gain insights on current drivers and barriers to innovate and to identify best practices from innovation champions. The countries covered included (in alphabetical order) Australia, Brazil, China, Germany, India, Israel, Japan / South Korea, Saudi-Arabia / UAE, Sweden and USA. All of the executives interviewed were directly involved in their company’s innovation processes and at VP-level or above. The study touched quite a number of aspects. In the survey, more than three-quarters of executives (77%) said they believe the greatest innovations of the 21st century will be those that help address human needs, such as improving health quality or enhancing energy security, more than those that simply create the most profit. innovation will be driven by SMEs and a combination of players. Copy-Paste von http://innovation-3.com/2011/different-open-innovation-strokes-for-different-folks/ (Innovation 3 Blog von Frank Mattes). 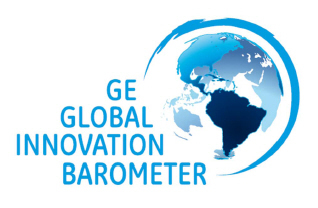 More Details about the study: http://www.gereports.com/ge-global-innovation-barometer-partners-localization-are-key/.